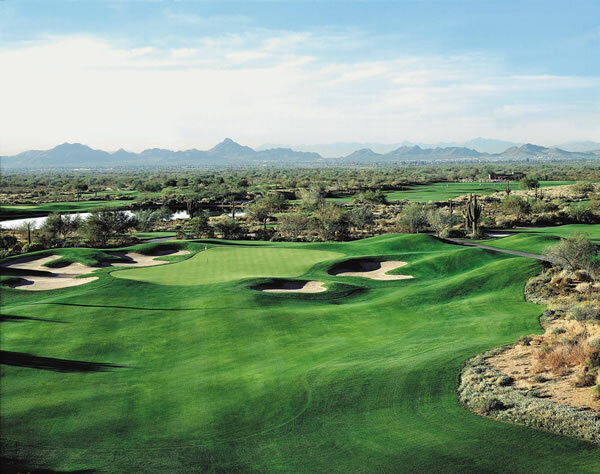 Wildfire Golf Club is a 36-hole golf facility situated on the four-star JW Marriott Desert Ridge Resort and Spa. Located near Desert Ridge outdoor shopping plaza and close to area restaurants and nightlife, this is the perfect spot for a golf get-a-way. 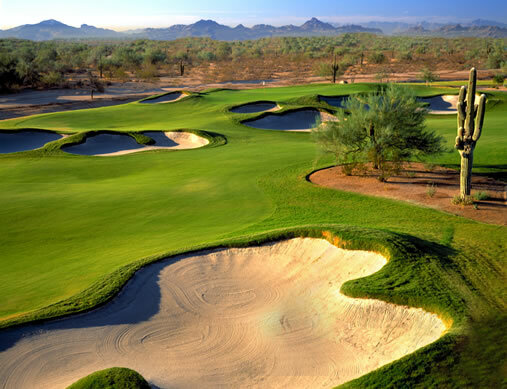 Wildfire Golf Club is home to Palmer and Faldo, named after their designers. Palmer, the original course is designed by Arnold Palmer. Framed by desert, this target style course is a natural beauty. The greens play wide with subtle undulations challenging the accuracy of your short game. Faldo, the newer of the two courses is considered more difficult. Located adjacent to the Palmer course, this course is a dry desert experience, no waterholes present. The fairways are also large; however, lined with desert flora. Landing areas are not as forgiving which require accurate shots to be made again and again. From Phoenix Sky Harbor Airport: Follow the airport signs to the I-10 W. Merge onto I-10 West and continue .5 miles. Merge onto AZ-51 N. via exit 147 and continue 16 miles. Take the Loop 101 E. via exit 15A. Continue 1 mile and exit Tatum Blvd. via exit # 31. Turn left on Tatum Blvd. Turn right on Deer Valley Rd. Turn left on Marriott Dr. and follow signs to course.